We all know first impressions are often faulty. 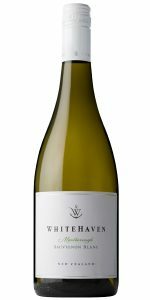 I’m sure I wasn’t alone in thinking “How good can this be?” with a roll of the eyes the first time I encountered a New Zealand Marlborough Sauvignon Blanc. Little did I know what was about to happen. Fast forward to last month when I heard wine imports into the US increased dramatically in 2017. And much of that was due to the fact we cannot get enough New Zealand Marlborough Sauvignon Blanc in this country. This is hardly surprising since their Sauvignon Blanc is so unique and delicious you end up feeling the need to take a shower, drop to your knees and confess your sins. In Marlborough today, there is barely a flat piece of land that hasn’t been taken over by vines. But it hasn’t always been this way. In reality, the march of vines across the plains and gently sloping hills of the region began as recently as 1973. Prior to that, Marlborough was better known for its balmy sunshine and production of barley and alfalfa. What started as a few hundred hectares of grapes have multiplied into thousands of hectares of premium vineyards. Meanwhile, the ensuing wines from this expanding plantation has made Marlborough a tour de force in the world of wine. From the time Captain Cook first navigated both islands in 1769 to now, this region has become a major contender on the world’s wine stage. In a sharper timespan, one influential winery called Cloudy Bay opened the door to New Zealand Sauvignon Blanc in the 1980s. It proceeded to alter the varietal’s destiny forever. How did this remote region of the world, the world’s furthest south and the first to see sunlight each day, go from a land dominated by Temperance Union activists bent on the abolishment of all forms of beverage alcohol (until the mid-1960s it was illegal to serve wine in restaurants) in New Zealand, to where it is now? The short and simple answer is New Zealand Sauvignon Blanc paved the way. The first New Zealand vines were planted by missionaries in the early 1800s, and the first wines were made in 1839 by James Busby, long regarded as the father of the New Zealand wine industry. We know great terroir is about a sense of place. New Zealand, geologically the youngest country in the world and one precariously positioned at the juncture of two tectonic plates, occupies a unique spot on the planet as evidenced by its singular topography – two islands bisected by a long string of mountains (aka the “New Zealand Alps”) running up and down the middle of both islands and through nine wine regions. There are five wine regions on the north island and four on the south, where some feature near ideal conditions for vineyards, including maximum sunshine, minimal rainfall, free-draining soil of medium fertility and a lack of seasonal frosts. New Zealand, like Australia, is a cool climate viticultural area, a prime condition for higher levels of grape acidity. No vineyard in New Zealand is more than 80 miles from the sea and most are a lot closer which makes for an enviably steady and longer growing season with harvest dates that range from early March to late May. Another major flavor influencing factor is the (diurnal) temperature variation between day and night. Marlborough enjoys long periods of hot, dry days during the ripening stage combined with cooler nights. It’s normal for the temperature variation to be around ten degrees Celsius, or 50 degrees Fahrenheit, between day and night. This allows the grapes to build brix levels during the day, with a high level of fruit acids being retained during evening’s cooler temperatures. The soil types throughout the New Zealand lend merit and considerable distinction to the wines. There is no singular appropriate word to describe the soil types other than to say they are variable. For instance, close to the major rivers in the Wairau Plains, the soils range from stony former riverbed gravels to deep fertile silts. Move further south to the Awatere Valley and one finds a variety of soils, from older loess to mixed stony gravel. It is not unusual to see evidence of three different soil types within a small four hectare vineyard, with each offering something different to the end product. More and more companies are now championing those differences and producing single vineyard wines that express the unique conditions of individual wine growing districts. Vine, Vine, Everywhere a Vine! Originally the Wairau Plains of the south island was the home of all of New Zealand’s vineyards, with the exception of Vavasour Wines which began planting in the Awatere way back in 1986. These days there are vines all over New Zealand. From the moment you enter Marlborough from the south, all you see are vines. Travel to the west and the vines march steadfastly towards Lake Rotoiti. The same can be said about the north and east of the region. It comes as no surprise the wine industry has played a major role in the economic prosperity of Marlborough (in no small part due to the popularity of Marlborough Sauvignon Blanc). In 2009 alone the wine industry contributed $1.3 billon to the region’s gross output and provided the equivalent of 4,000 full time jobs. There were 2,543 people working full time in the wine industry. Adding to that another 1,449 full-time equivalent jobs created by businesses that service the industry. 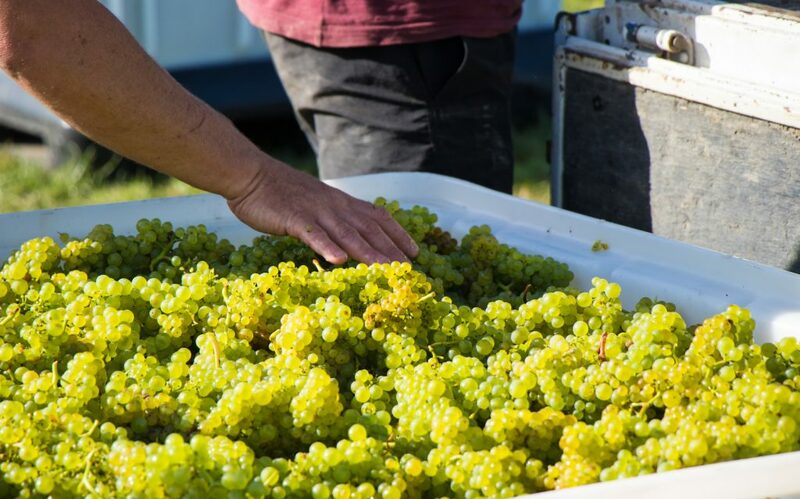 Sauvignon Blanc is more than a terrific wine, it’s also a significant job creator. In fact, the wine industry is responsible for creating jobs for 18% of the New Zealand workforce and accounts for 20% of the region’s GDP. 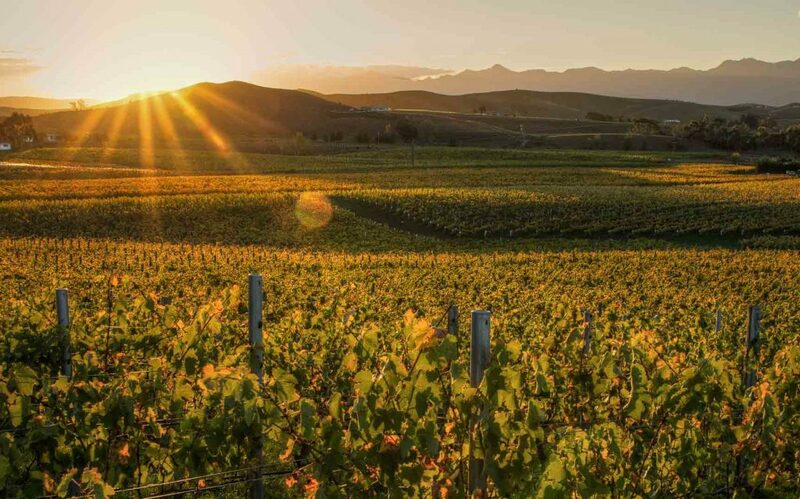 Economists have indicated that one dollar out of every $5 of economic activity generated in the New Zealand can be attributed to the wine business. The incredible expansion of the wine industry over the last few years has been a key driver of this healthy economic growth. In ten years the number of wineries in New Zealand has doubled, while the number of growers has doubled in just five years. Here’s the difference. In 1990 there were 30 active wineries in New Zealand. Today there are over 700 wineries with 88,000 planted acres (slightly bigger than the Champagne appellation’s 74,000). But don’t expect to see many estate-bottled wines on retail shelves since as most wineries in New Zealand do not grow their own grapes but rather buy from over 800 independent growers. New Zealand thrives on innovation as well as good humor. Back in the early 2000s, New Zealand lead the move away from corks in favor of neutral Stelvin (screw cap) closures. Who could ever forget the satirical burial ceremony New Zealand wine producers held for a casket of corks several years ago. Hmmm…I wonder if the caskets had screw cap lids? Here are some of the Marlborough Sauvignon Blanc family-owned brands in our Wine Warehouse portfolio. Toggle over the sidebar to discover all five! The word says it all. It’s from the Mãori dialect and it means “to point out or indicate.” More precisely it means to save. Save the earth essentially so it can save the people. This holistic sentiment is at the heart of the Mãori gestalt and it resonates throughout the wines made at the tribe’s winery in Marlborough, an impressive 20-year old estate with coveted vineyard holdings in some of the region’s sweetest spots including the Awatere Valley and its adjacent neighbor the Wairau Valley. Both are standout locations, the former for classically styled Sauvignon Blanc and Pinot Noir, and the latter for crispy Chardonnay. As you might expect a winery like Tohu is at the forefront of sustainable viticulture in New Zealand. This is more than a simple “value added” part of the Tohu package. It’s a best practice principal and at the core of both the winery’s mission and message – this is a native owned winery making uber-expressive A+ single vineyard wines from New Zealand’s most acclaimed grapes, Sauvignon Blanc in particular. It’s not a bragging point because at Tohu, where the land is treated with respect and a sense of guardianship, the question is – doesn’t everyone feel the same way and do the same things? Tohu wines carry the message better than words can convey. Enlightened Sauvignon Blanc leads the way and delivers that special something quality only the best Marlborough Sauvignon Blancs have mastered. Something about good earth equals good wine comes through here. Tohu Pinot Noir in some ways is an emblem of the current generation of New Zealand winemaker’s “learned” approach to this classic varietal. Treat it like they do in Burgundy is the recipe for many of the best New Zealand Pinot producers. At Tohu the process is enhanced with superior raw materials starting with better grapes from quality vineyards. Don’t forget Tohu Chardonnay. In this case the reach is beyond Marlborough all the way to the north island’s Gisborne region, arguably the nation’s best for Chardonnay. The grapes get the attention they deserve in the winery from membrane pressing and fermentation in French oak barriques to final aging in selectively toasted versions of even newer French oak barriques. Tohu is an estate worth knowing about. Intentionally outside New Zealand’s cookie cutter profile, these folks have a new version of an old standard and a range of wines that share a common aim to please. There’s something to be said for being first. 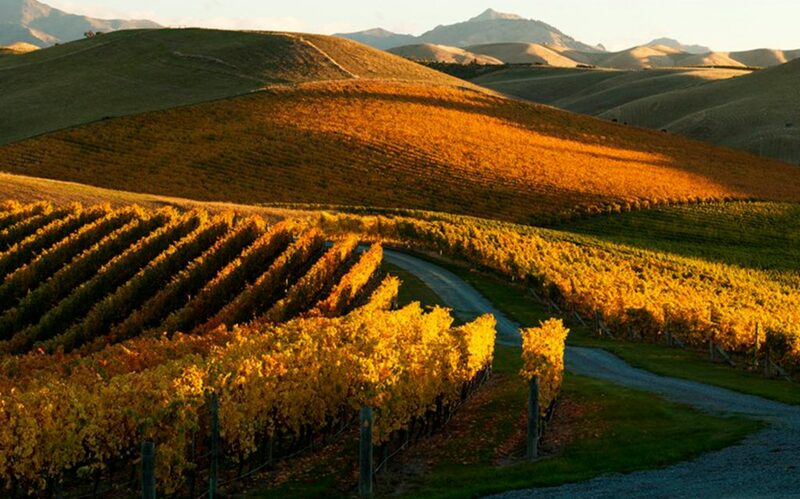 While the country of New Zealand finishes first in the Sauvignon Blanc swimsuit category, respected Marlborough estate Whitehaven claims the blue ribbon for first to find the country’s prettiest vineyard. Whitehaven’s owners, the White family, bought their land back in the early 1990s and knew what they were doing. The proof is in today’s Whitehaven’s wines, especially the estate Sauvignon Blanc. Whitehaven Sauvignon Blanc is a “signature” style for one of the wine world’s most popular flavor templates. Often repeated but seldom excelled, the New Zealand Sauvignon Blanc model has finally met its match in the wines made by one of the island’s earliest pioneering families, the Whites. Start at the beginning or return to the roots, either way this is a wine you need to have in your consumption repertoire. No matter where your tastes take you, Whitehaven will remain where it all began for New Zealand. Founded in 2003, Neil and Maria Empson always have shared a passion for wines with a sense of place and purpose. It only makes sense that they would default to Neil’s home turf in New Zealand’s south island when the time came for them to launch a value driven new brand intended for everyday enjoyment. With his typical flair for finding the best raw materials Neil Empson has created his latest masterpiece based on select vineyards in Marlborough and made at a state-of-the-art facility just outside of nearby Christchurch. Neil insists on expert processing and sound wines reflecting terroir characteristics. He also insists on value pricing. So Seven Terraces is that most difficult thing – a very good range of wines that sell at very competitive prices. Neil Empson never has been less than the gold standard and Seven Terraces, his new brand from his home base, is the latest proof. Among the earliest grape growers in Marlborough were the Ibbotsons, present owners of the impressive Saint Clair Family Estates. For fifteen years starting in 1978 they planned, planted and purchased vineyards, but sold all their grapes to local wineries. Stoically they watched as their grapes become world class wines in the hands of others, many garnering top scores in international competitions. Adding insult to injury they saw these wines fetch premium prices in the marketplace. In 1993 the Ibbotsons purchased the esteemed Saint Clair vineyard, planted by Marlborough pioneer James Sinclair in the mid-1800s and decided to take the plunge and become wine producers. By this time their holdings included six vineyards in six different key Marlborough sites. It was a good time to make the move. It’s important that the Ibbotsons took the time to gain a complete understanding of their vineyards prior to embarking on a winemaking venture. They were ready when they started and the first thing they did was hire someone whose competence as a winemaker matched their own as master growers. That person was (and is) Matt Thomson who immediately confirmed the wisdom of his selection by winning medals at top wine competitions including gold for each of his initial releases. For now the focus is one very special Sauvignon Blanc from St. Clair. Check it out. Dreyfus Ashby’s new Marlborough Estate Reserve Sauvignon Blanc, crafted by the remarkable Alana McGettigan, a leader among New Zealand’s new generation of winemakers with expertise in genetics and biochemistry, is a groundbreaker that in some ways is the beginning of a fresh direction for Marlborough Sauvignon Blanc. Based on 100% Marlborough Sauvignon Blanc it’s a bone dry but overtly fruit-driven modern white with a flavor profile that incorporates everything you expect from Marlborough SB, but in a primary way without processing camouflage. While the Kim Crawfords, Monkey Bays and Nobilos of the world continue to repeat themselves, here’s a cool new brand looking for a bold new direction.